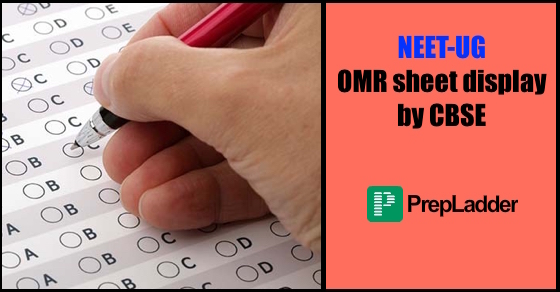 The CBSE will display Images of OMR Answer Sheets and Machine grading of responses for all the candidates from August 4th to August 6th, 2016. Candidates can view OMR sheets by visiting the official website www.aipmt.nic.in. Candidates can submit representation against the OMR Grading on submission of Rs. 1000 per response challenged. Candidates will be refunded an amount of Rs. 1000 per response if his/her challenge is accepted by CBSE. The Answer Keys of the Questions will be displayed by CBSE from August 7th to August 9th, 2016. Candidates can view the Answer Sheets by visiting www.aipmt.nic.in. This will provide an opportunity to the candidates to challenge in case any vagueness is found in the answers on the website. Candidates can make an online challenge against the Answer Key on submission of Rs. 1000 per answer challenged. Candidates will be refunded Rs. 1000/answer if his/her challenge is accepted by CBSE. NEET UG with exam grade questions. FREE simulation mock test for NEET UG with exam grade questions. Answer sheets are evaluated with great scrutiny and care. Provision for the re-evaluation of Answer sheets does not exist. Requests made in this regard will not be entertained by CBSE. NEET-UG PRO Pack starting @ Rs. 249! Compete with over 15,000 candidates on the latest exam pattern. NEET-UG PRO Pack starting @ Rs. 249! Compete with over 15,000 candidates on the latest exam pattern.